It's still dark and 34 below this morning. Yesterday I drove down to Cantwell and back. 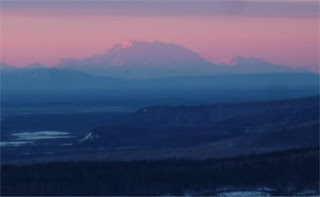 There were beautiful views of Denali. Just west of Fairbanks I took these two photos. 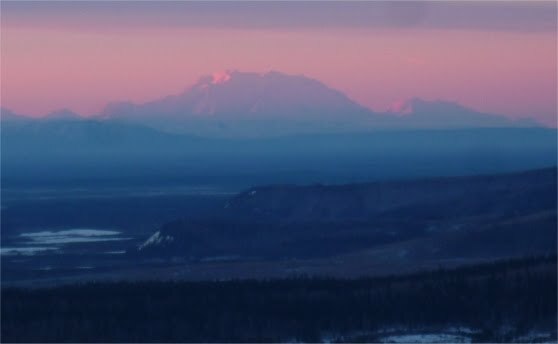 As I mentioned in a post a year ago, Denali, at about 160 miles from Fairbanks, should be mostly hidden by the curvature of the earth and barely appear above the horizon. 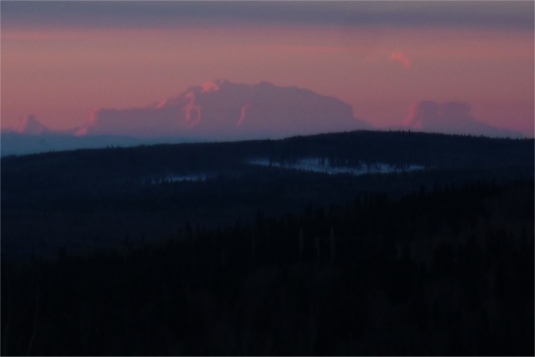 But on a day like yesterday, atmospheric conditions allow the mountain to "jump" above the horizon. 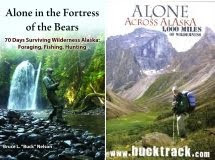 Notice how the mountain on the right, probably Mt. 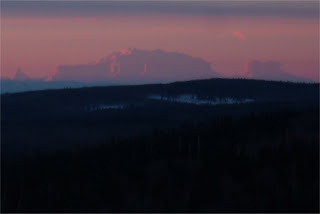 Foraker, has "grown" and changed shape in the second photo, taken minutes later from a few miles further down the road. One advantage to the days this far north is that the low sun provides beautiful light from sunrise to sunset.